Blockchain is the talk of the town, not least because of its application in cryptocurrencies. But features such as secure and traceable transactions, a decentralized digital ledger or real-time execution make the technology attractive for peer-to-peer services in numerous industries. 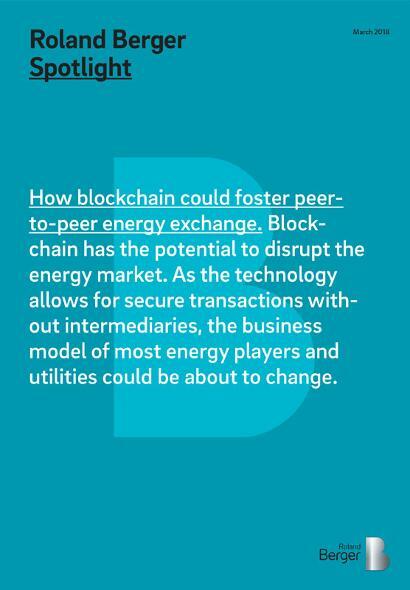 Cutting out the intermediary: blockchain technology can enable instant P2P energy sales. Grid operators and energy suppliers need to constantly exchange data on consumption, assets, contracts and billing. Decentralized ledgers could increase transparency and enable local clearing of transactions and energy exchanges, pre-empting the need for a central market system. Smart contracts would enable more automated billing. Currently, most renewable energy prosumers sell their excess capacity at a set price determined by the grid operator. Blockchain technology could enable instant P2P energy sales, as smart metering data on production and consumption can be tracked and verified in real time, while payments can be handled in a secure and transparent environment. This would allow prosumers to earn a premium by selling when demand is high, in turn fostering more private investment in renewables. 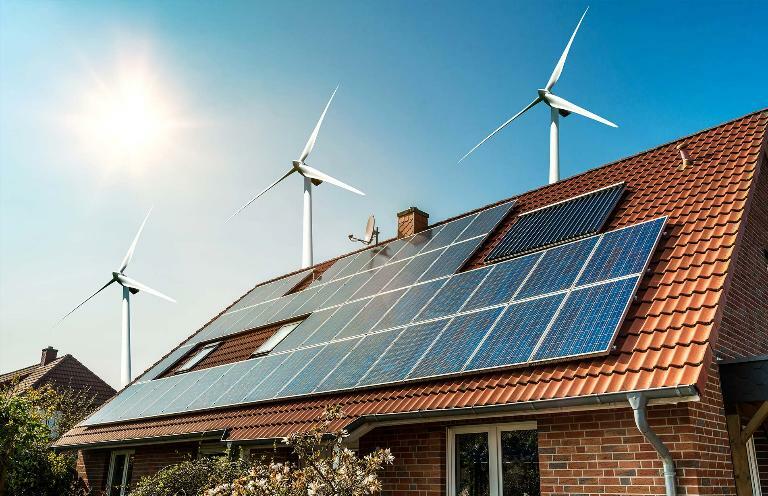 Consumers that have been excluded by energy suppliers are shifted to a prepaid energy contract and budget meter, provided by the distribution system operator. The recharging of the budget meter is cumbersome, as advance payments need to be debited to a card, which can only be done locally at the offices of the grid operator and its partners. Blockchain could facilitate the recharging of budget meters, because smart metering data on consumption can be tracked and verified in real time, while payments can be made directly to the budget meter. Blockchain has the potential to disrupt the energy market as we know it. Three examples of how blockchain technology is set to change the business models of energy players.